Mountain (W….f$), from the series, Bit Rot. © Kalee Appleton. 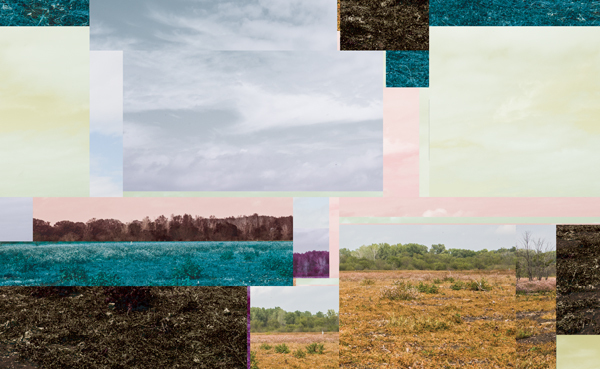 Kalee Appleton’s Bit Rot series explores the properties of digital information through the guise of landscape pictures. 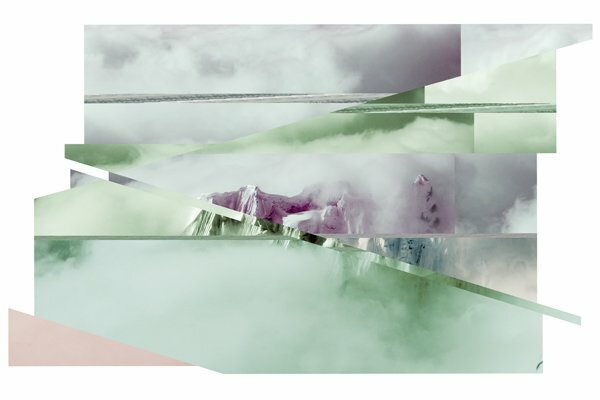 By manipulating the information embedded in the image file, rather than the image itself, she allows chance to take a primary role in the final look of her pictures, and discovers an aesthetic uniquely representational of digital information. Gregory Jones: First off Kalee, tell us about how you became involved with photography, and who were among your earliest influences? Kalee Appleton: I became interested in photography at an early age, when my mother gave me her konica 35mm camera when I was in high school, but only got serious about photography when I started taking art classes in college at Texas Tech University in 2003. When I discovered the world of art, I knew that I wouldn’t be truly happy in any other profession. Some of my early influences are Irving Penn and Lola Alvarez Bravo. I love Irving Penn’s still life imagery with its strange and humorous attributes and have always admired the strength and femininity that is portrayed in Lola Alvarez Bravo’s images. Morning Light (m.xV.’Hr), from the series, Bit Rot. © Kalee Appleton. 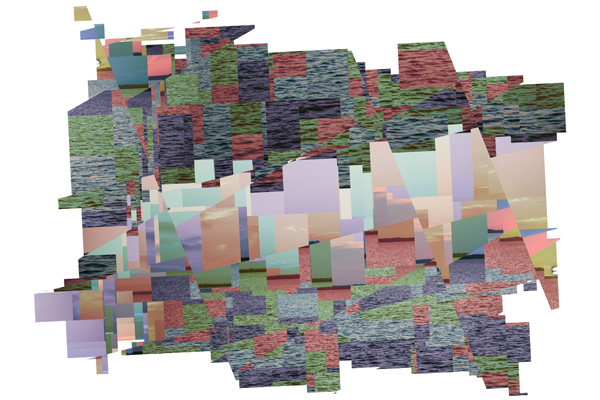 GJ: Your series Bit Rot represents anonymous landscapes as obfuscated fields of digital information. 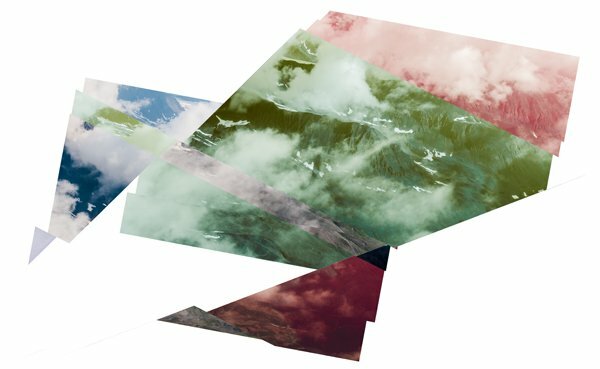 Visually, we are presented with colorful fragments of mountains, rivers, trees, and fields that are both geometric and abstract. Please talk about the origins of this project, and explain a bit about the process that leads to these pictures. 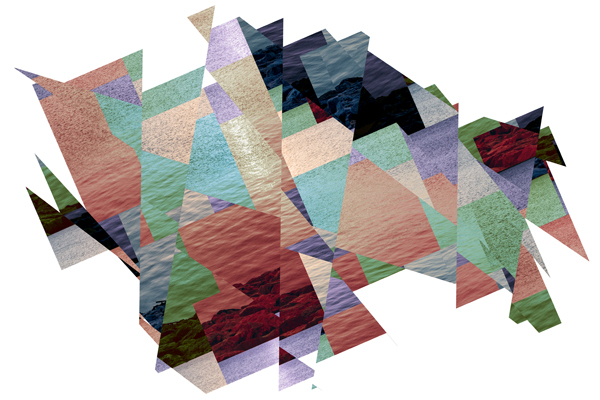 KA: Bit Rot was originally inspired by my observation of a naturally corrupted digital file. I was working as a corporate and aviation photographer a few years back and had misplaced some digital files, so I used a photo recovery program on one of my compact flash cards. The program pulled up about 20 files that were completely destroyed, but they grabbed my attention and I became fascinated at the intricate lines and color shifts within in photographic image. I have held on to those images for years since then, thinking that I would one day print them or incorporate them into some piece of art one day. When I ran across them, browsing through my photo library last year, I decided to research corrupted digital files and eventually started working towards synthetically corrupting digital files and started producing my series, Bit Rot. Swamp ( zt.wg.tl.vn), from the series, Bit Rot. © Kalee Appleton. GJ: Going back to the visual structure of these pictures, how much control you take over their final appearance? To what extent are these random, and how do you think this reflects your overall message? KA: It’s hard to say exactly how much control I have over the final outcome of the image. If I were to compare my control in the production of my Bit Rot images to the control I have in Photoshop, I would have to say that I have about a 100th or maybe a 1000th the control, but perhaps that doesn’t really tell you much. The colors are dependent on what the image’s original color, but with that being said, I still have a few options when it comes to changing the color. I do have control over the location of the sharp lines and the direction of the lines. Most of the imagery is produced with little forethought and intuition choices that are a major aspect of the final outcome. For me, this lack of control is a freeing attribute that really allows me to enjoy the process and allows me to consider compositional outcomes that I might not normally have ever tried. The randomness of the imagery is absolutely reminiscent of my concept in how a sense of chaos is created within the image just as the digital era has also created a sense of chaos in our lives. Lookout (+D.-F.,G.,), from the series, Bit Rot. © Kalee Appleton. GJ: The title of this work, Bit Rot, sounds decidedly pessimistic. Is this a conscious sentiment? KA: I have never thought of it pessimistically and no one has ever suggested that to me, but I absolutely understand how the title could be seen as negative. Thank you for bringing that to my attention! Bit rot is actually a term used to describe a corrupted digital file. The work in Bit Rot is actually a result of synthetic bit rot. Something that was particularly important to me, and a huge reason why I named this series Bit Rot, was the underlying idea that digital information is not archival, like so many people believe it to be. Digital data is capable of rotting just like all organic matter. Meadow ([email protected]$), from the series, Bit Rot. © Kalee Appleton. GJ: Your artist statement argues that digital technologies have brought us further from our nature and origins. Some may argue that all human products could be considered “natural”, in the same way that we would consider a beehive or a beaver dam a part of nature. Do you think the technologies we’ve developed could be thought of in the same light? Is it a bad thing that we’ve come so far from the lifestyles of the past? KA: I love this question! I’ve already spoken some about the idea of digital information not being archival and therefore susceptible to decay just like organic substances and because of this fact, it can be considered natural. Of course, the word “natural” can be defined and perceived in so many different ways. I think most people are clear on the distinction between technology as man-made and natural organic forms and it’s this distinction that I refer to in my artist statement. As far as digital technologies being bad, I can’t definitely say that they are bad. Something that they are to me, are drastically different than any other technology that has existed in human history and therefore have affected us in ways that we are probably very unaware. What I want to do with this series is draw attention to this drastic change in technology and make the viewers decide for themselves. I want viewers to analyze their own life and their own relationship with digital technology and become more cognizant of how they are living their lives and determine if it’s the best thing for them. I firmly believe that if people did this, most people would realize that they spend entirely too much time on the internet and on their phone and they would step outside and work on their relationship with nature instead of technology. 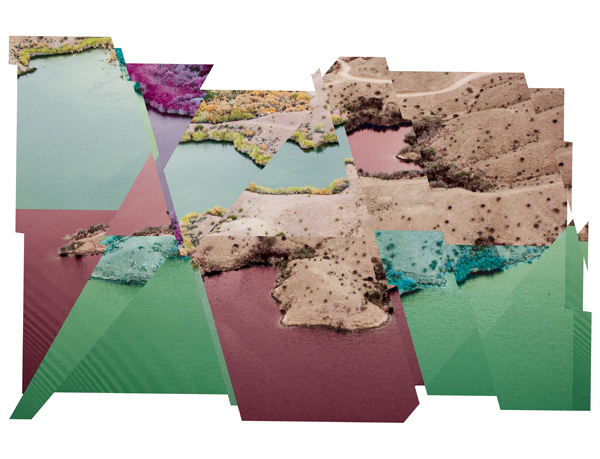 Desert Peninsula (v~.JQ.KR.V]), from the series, Bit Rot. © Kalee Appleton. GJ: Again, this work depicts seemingly anonymous landscapes. Is there any significance to the places you depict? Your thesis posits that digital technology has had a profound impact on our lives, so what made you choose these subjects and not, for example, portraits, or urban landscapes, or still-life? KA: Recent technological advances have made this a global issue and by using various landscapes, I’ve spoken to that fact. I chose landscapes because this series speaks to human’s relationship with the land and imagery of what I associate with human origins is imagery of the landscape in which we have all evolved. Historically, photographers have been documenting the land since photography was invented. I also wanted to allude to the technological changes within the realm of photography by displaying historically classic imagery and changing it through binary code manipulation to speak to the technological advances in photography, i.e. digital photography. 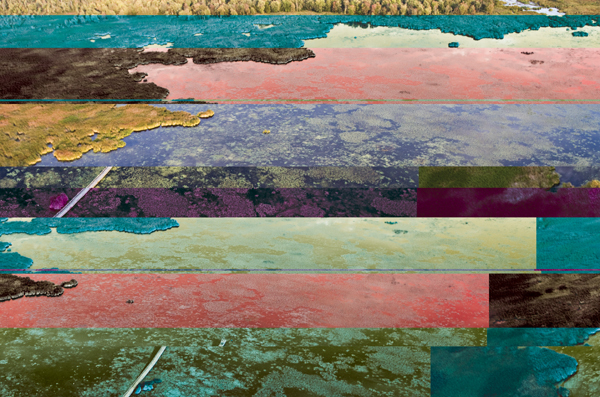 Tectonic Plates (MK.JI.VT.VT), from the series, Bit Rot. © Kalee Appleton. GJ: I agree that our technological products have carried us far from our origins. Do we need these products? Certainly they have allowed us to build a world-wide network of communication, facilitate the sharing of ideas, and have allowed new methods of examining ourselves– but what is it that what we’re looking for? Or is this speed of information a means to an end? Toward what end are we aiming? KA: The human race has proved to be particularly resilient. We don’t need these technological advances to exist, but we have them and it’s changing the way we live in every single possible aspect. I’m not an expert on how technology has affected us as a society, but you don’t have to be an expert to recognize it in everyday life. Being aware of its affect and noticing it is something I hope my images do for people. Toward what end are we aiming? I don’t think we as a human race have any idea to what end we are pursuing. We are pursuing a life of happiness and if we think technology will take us there, we will use it. 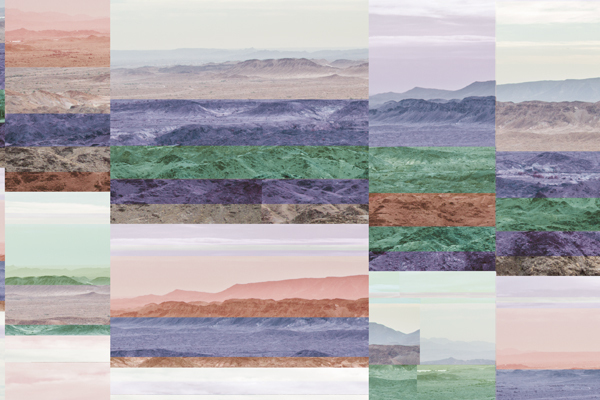 Desert Range (}.o}s}.gt), from the series, Bit Rot. © Kalee Appleton. GJ: Last but not least, is this work something you will continue with? And what’s coming up for you over the next year, photographically or otherwise? KA: I do want to pursue this avenue of work, but since I’m currently in graduate school for photography, I’ve been exploring lots of different aspects of my creativity. I’ve been in graduate school at Texas Woman’s University for 1.5 years now and during that time, its been extremely important to me to explore as many aspects of my creative self as possible. I also feel that the future work with this technique is work that will need time and contemplation. Stay tuned. Kalee Appleton is a photography based artist living in Denton, Texas. She received a BFA in photography from Texas Tech University and is currently working towards an MFA in photography at Texas Woman’s University. 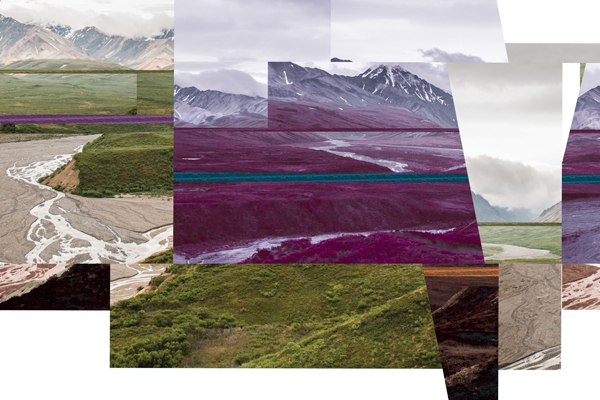 Kalee’s work deals with perceptions of nature and explores the various impacts that members belonging to an ecological community have in relation to each other. Sunset (6_P.r..! ), from the series, Bit Rot. © Kalee Appleton. All images © Kalee Appleton.